"My hospital LOVES natural birth! Why do I need a doula?" If you're not from Charlottesville, this might seem like a really strange question! But, if you have lived here for any length of time, you'll likely understand why I'm writing on this topic. In this area we are privileged to have two good hospitals. They both have their advantages and disadvantages, and BOTH are becoming more and more "natural birth" friendly. University of Virginia hospital, for example, is now delaying clamping the umbilical cord at all births, even cesarean births! Although evidence-based and safe, this practice has been slow to be adopted in many hospitals, so I am SO happy that even mothers and babies who require cesareans will be able to benefit from delayed cord clamping if they are at UVa Hospital. Martha Jefferson Hospital has the reputation of being more natural-birth-friendly, and they have the advantage of a brand new (as of last year) hospital and birthing wing, set to beautiful scenery above Charlottesville. No kidding, I was recently told by a husband that they considered a home birth, but went to Martha Jefferson Hospital for the view! 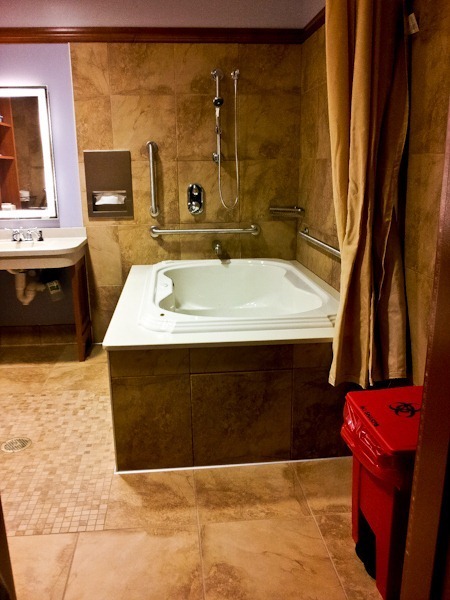 You can see a picture of the labor tubs here. This hospital does have a relatively low epidural rate (around 60%), so I can understand why it has the reputation of being THE place to go for a natural birth, but does that mean that a doula wouldn't be helpful, or just a waste of your resources? Choosing a doula lowers your risk of surgical birth. Your chances of cesarean are still much higher at a hospital than at home or a birth center, no matter the hospital. In 2010 the cesarean rate at MJH was 34.2%, compared to 30.7% at UVa hospital, despite the higher rate of unmedicated births at MJH hospital. See the numbers for yourself here. UVa also had double the percentages of VBAC births of MJH. (The local birth center here, The Birth Centre of Charlottesville, has a 3% cesarean rate as of last year). Randomized trials found that the use of a doula reduced a mother's chance of c-section by 28%! There are a few hypotheses as to why doulas are so effective, and you can read more about them here. Nurses have lots of other things to do, they cannot fill the role of a doula. They also change shifts. While there are many great nurses out there that wish they could be as supportive as a doula, they are limited by the rules, policies, and other duties that they must perform as a nurse. Some of these include charting, taking blood pressure, checking in on other patients, putting orders into the system, and communicating with other staff and doctors. Even in a hospital like MJH where there is a "one-to-one" nurse to patient ratio, this is typically guaranteed only during "active" labor. Continuous labor support is one of the most important factors in an empowering and healthy birth experience, and nurses cannot be continually with their patients, even if they wanted to be. They also are limited by the clock. You may have a nurse that you really "click" with, and who loves to help couples who desire a low-intervention, natural birth, but when the shift changes, the next nurse may not be so comfortable with your plans. I've certainly read stories of nurses staying past their shift to help out a special couple...but the reality is that nurses are not paid to be on-call! You doula is, though, and she will be with you for the entire labor and birth if at all possible. Your doctor's policies and practices are even more important than the hospital that you choose, especially at a private hospital. A public hospital like UVa can enact hospital-wide policies (like delayed cord clamping) and it's likely that all doctors, residents, and nurses will implement this. At a private hospital your care can vary more depending on the practices of the individual physician. If you choose this physician, for instance, your chance of a c-section would be 33%! However if you chose this physician, your chance would be lower, at 21%. (The Virginia Department of Health seems to not have updated this data since 2008, so this data may not be representative of these providers' current rates, but my point about variability stands.) Other policies may vary, also. One doctor may allow intermittent monitoring for a VBAC (vaginal birth after cesarean), but another might want continuous monitoring. One may enforce a strict 12-hour time limit on labor after membranes have ruptured, and another might be more comfortable waiting longer. Some obstetricians may be quicker to induce for "post-date" pregnancy than others. These interventions increase the risks of instrumental birth, fetal distress, and cesarean section no matter which hospital you are at! A doula bridges the gap and evens the playing field by providing support and evidence-based information so that mom and dad can decide which interventions they are comfortable with at the time. I do believe that you can have an empowering, healthy birth experience in the hospital. But, a hospital is a hospital no matter how pretty it looks on the outside (or inside). Having a doula ensures a certain continuity of care- you know that your doula is supportive of your plans, will not change shifts, and can help you to navigate hospital or provider policies. Together, you can have a great birth, no matter where it takes place!